Learn fundamental concepts for Python beginners that will help you get started on your journey to learn Python. 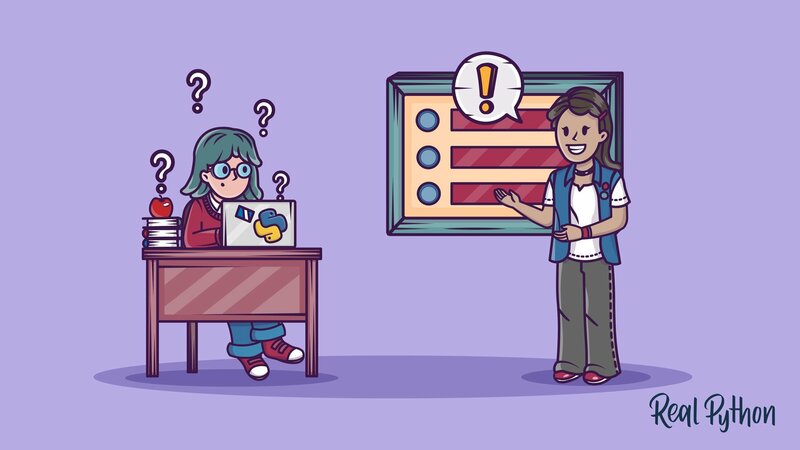 These tutorials focus on the absolutely essential things you need to know about Python. An overview of the Python programming language, including a brief history of the development of Python and reasons why you might select Python as your language of choice. In this Python installation guide you'll see step by step how to get a working Python 3 distribution set up on Windows, macOS, Linux, iOS, and Android. 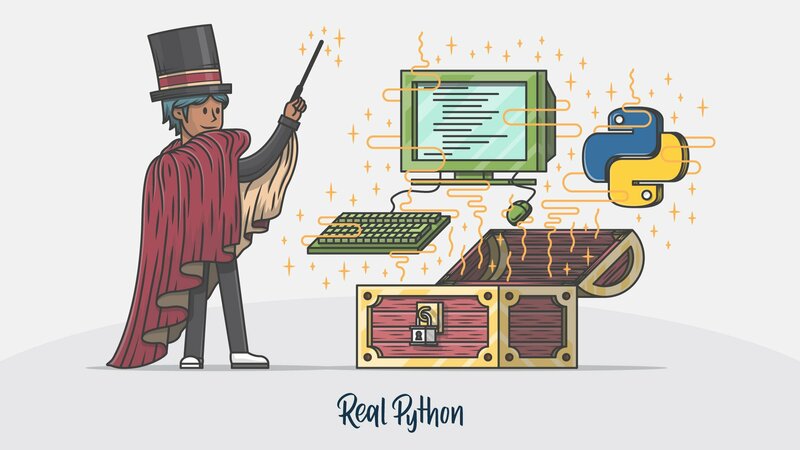 Now that you have a working Python setup, you’ll see how to actually execute Python code and run Python programs. Learning strategies and tips that will help jump start your journey of becoming a Python programmer. 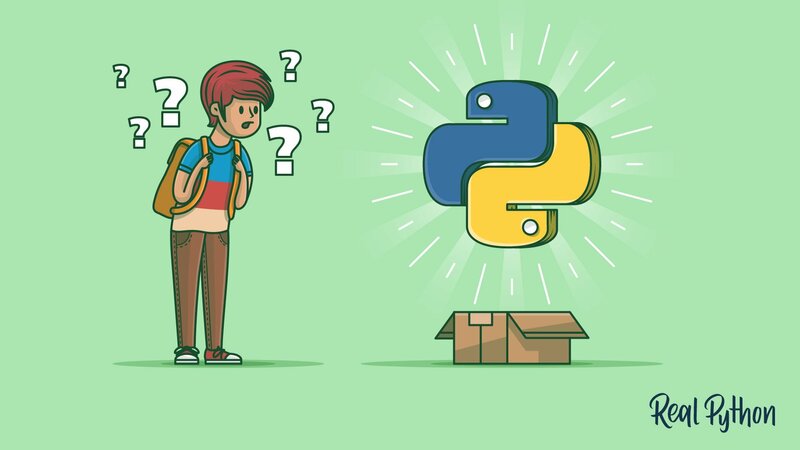 In this article, you'll see several learning strategies and tips that will help jump start your journey of becoming a rockstar Python programmer. Learn the basic data types that are built into Python, like numbers, strings, and Booleans. You'll also get an overview of Python's built-in functions. Learn how every item of data in a Python program can be described by the abstract term "object," and how to manipulate objects using symbolic names called "variables." Get a short & sweet Python Trick delivered to your inbox every couple of days. Get a short & sweet Python Trick delivered to your inbox every couple of days. Improve your Python skills bit by bit, completely free. See how calculations can be performed on objects in Python. By the end of this tutorial, you will be able to create complex expressions by combining Python objects and operators. How to use Python's rich set of operators, functions, and methods for working with strings. Learn how to access and extract portions of strings, and also become familiar with the methods that are available to manipulate and modify string data in Python 3. You'll cover the important characteristics of lists and tuples in Python 3. Learn how to define lists and tuples in Python and how to manipulate them. When you're finished, you should have a good feel for when and how to use these object types in a Python program. Test your understanding of Python lists and tuples. In this Python dictionaries tutorial you'll cover the basic characteristics and learn how to access and manage dictionary data. In this Python dictionaries tutorial you'll cover the basic characteristics and learn how to access and manage dictionary data. Once you have finished this tutorial, you should have a good sense of when a dictionary is the appropriate data type to use, and how to do so. Test your understanding of Python dictionaries. How to work effectively with Python's set data type. You'll see how to define set objects in Python and discover the operations that they support. In this tutorial you'll learn how to work effectively with Python's set data type. You'll see how to define set objects in Python and discover the operations that they support and by the end of the tutorial you'll have a good feel for when a set is an appropriate choice in your own programs. Test your understanding of Python sets. Dig deeper into Python's lexical structure and start arranging code into more complex groupings. In this tutorial you'll dig deeper into Python's lexical structure and start arranging code into more complex groupings. You'll learn about the syntactic elements that comprise statements, the basic units that make up a Python program. Test your understanding of the lexical structure of Python programs. 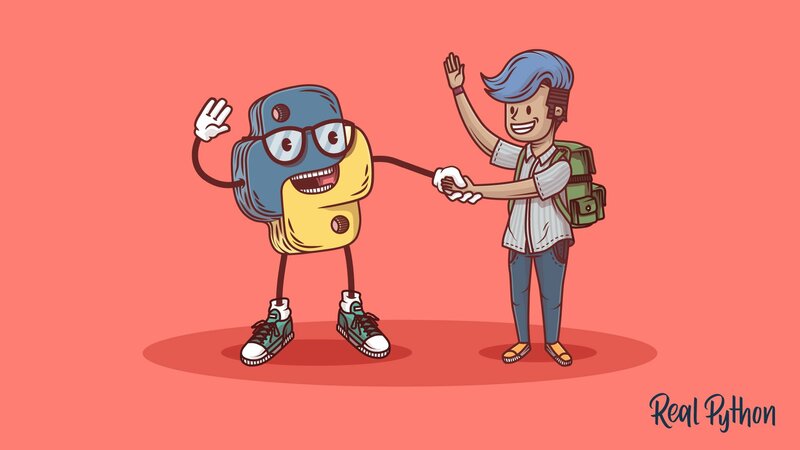 In this step-by-step tutorial you'll learn how to work with conditional statements in Python. Master if-statements and see how to write complex decision making code in your programs. In this tutorial, you'll learn about indefinite iteration using the Python "while" loop. In this tutorial, you'll learn about indefinite iteration using the Python "while" loop. You’ll be able to construct basic and complex while loops, interrupt loop execution with break and continue, use the else clause with a while loop, and deal with infinite loops. Test your understanding of Python "while" loops. Learn all about how to perform definite iteration with Python for loops. In this introductory tutorial, you'll learn all about how to perform definite iteration with Python for loops. You’ll see how other programming languages implement definite iteration, learn about iterables and iterators, and tie it all together to learn about Python’s for loop. Check back here soon for more Python lessons. Got feedback on this learning path?